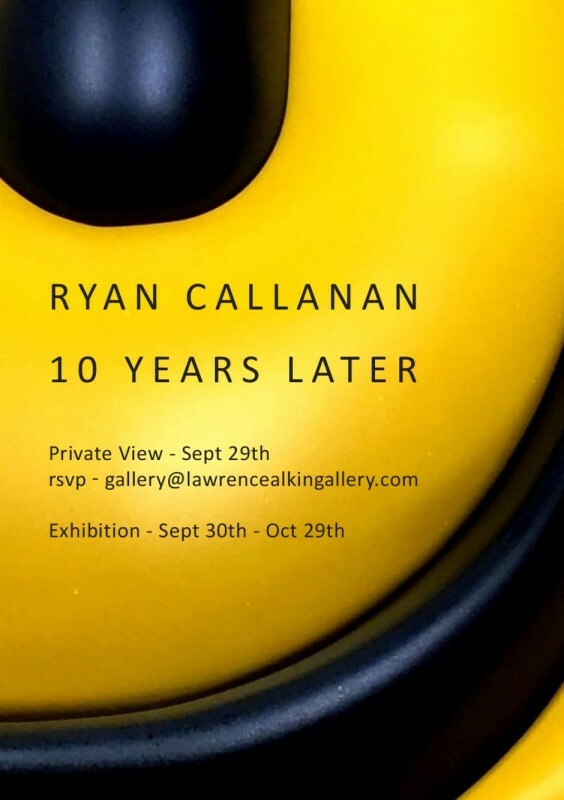 Following his sell out London show in 2014, two solo US shows and being named Artist of the Year 2015 during Brit Week in LA, Ryan Callanan returns to Lawrence Alkin Gallery with Ten Years Later. Offering a retrospective interpretation of familiar pieces, Ten Years Later presents a brand new body of work representing a transition into a new era for the artist. For the past decade, Ryan Callanan, aka RYCA, has worked tirelessly as an artist and printmaker, developing techniques learned during his career as a sign maker. His use of pop iconography and lyric-based works has garnered wide appeal, with many noted celebrities including Norman Cook aka Fatboy Slim, Russell Brand, Gordan Ramsey and Jose Mourinho collecting his work. A series of 33 colour silkscreen prints ‘Love is the Drug IV’ will be released as part of the show; however the new show marks a move away from print and canvas, consisting mainly of 3D pieces. Callanan takes inspiration from artists such as Adam Neate, Kaws, Jeff Koons, Andy Warhol, Damien Hirst and Takashi Murakami and aspires to emulate the execution and presentation of their works. Callanan is recognised for creating 3D works using the smiley face synonymous with acid house rave culture in the 1980s and 90s. He reimagines this iconic motif in material usually associated with traditional pub signs – concave gold inlay and black lacquered background. New versions of such pieces will make up the other half of the upcoming show. Ten Years Later features around 25 artworks, ranging from 90mm to 1200mm in size and featuring a variety of medium including gold leaf, gloss paint, timber, foam, acrylic and fiberglass. Having enjoyed considerable success under his alter ego RYCA, Ryan Callanan’s work includes impressive creations inspired by his career as a 3D sign maker. His work incorporates a wide use of materials including resin and glass. Drawing on his own obsessions with music and film and combining this with his technical knowledge, Callanan creates his own distinctive twenty-first century pop art. Having enjoyed a number of highly successful solo shows he has also collaborated with a number of acclaimed artists including Ben Eine, Stik and DJ Fatboy Slim. Manufacturing, gilding, designing, cutting boards and even putting them up Ryan Callanan does not consider himself a street artist but, as his work demonstrates, he is a master of his trade.